Five graduate students from Northwestern University’s Medill School of Journalism, Integrated Media and Communications were given the reins at Ingenico ePayments to explore a project centered around the Payment Moment of Truth (PMOT). Cecilia Aycinena, Yo-Ting Hung, Peiyuan “Suki” Shao, YingYing “Arielle” Su and Jiayue “Jess” Yang spent 11 weeks in the Summer Immersion Quarter learning the ins and outs of data analysis, ePayment software and teambuilding. Students are matched with companies based on their skills and interests, Collinger said. The students also worked closely with Medill IMC alumnus and Ingenico’s Marketing Manager of North America, Brandon Manzano.  According to Manzano, the goal of the project was to create a predictive data analytics tool that could provide merchants with a score related to their payments performance for comparison with other markets and regions around the globe. "Our aim was to help our merchants understand their consumers' behavior and choices for online payments,” he said. “When they have this information, they can optimize their payments strategy." Using aggregated data from Ingenico ePayments merchants, the team waded through millions of transactions to identify trends in consumer behavior. The Payment Moment of Truth or PMOT is defined as the moment surrounding a customer’s decision to submit an online payment for goods or services. Learning this aspect of data analysis was not an easy task, especially given the team’s lack of knowledge around the ePayments industry. “We really had to push ourselves to teach ourselves how to interpret and manipulate the data,” Cecilia Aycinena said. Looking at four regions (North America; Latin America; Europe, Middle East and Africa or EMEA; Asia Pacific), the team analyzed the different vertical markets (gaming, retail, travel) using seasonality (weekday vs. weekend) and payment method data (3D check, credit card, etc.) to determine how the variables influence one another. “The goal (was) to decrease the abandonment rate and increase the authorization rate of the PMOT project,” Suki Shao said. “Merchants always want to know (how) if they used this tool, how can I increase my authorization rate or how could I (decrease) my abandonment rate? With this tool, with this methodology, the answer is quite solid and measurable for (the merchant),” she added. 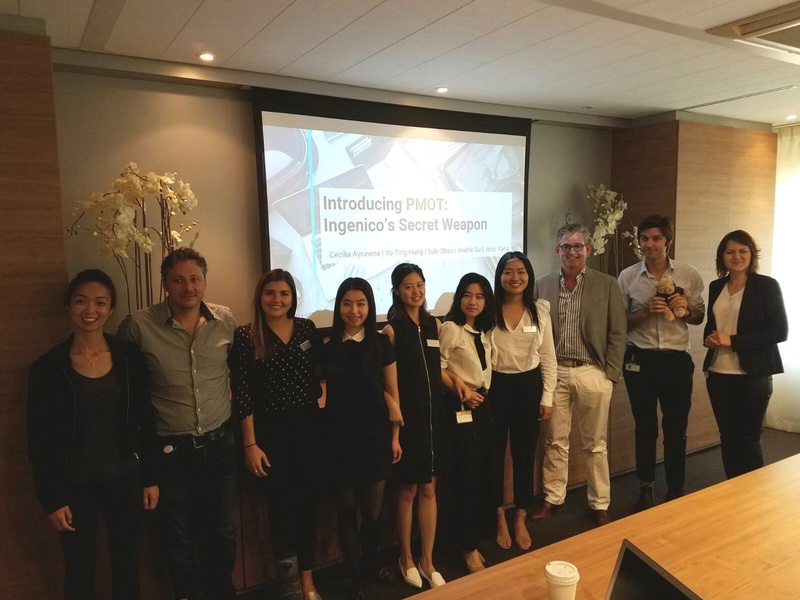 The graduate students presented the PMOT tool as a “secret weapon” for Ingenico ePayments, providing a snapshot of the international market of ePayment merchants for comparison and areas of improvement. One of the challenges the team faced during the immersion quarter was working remotely from Ingenico ePayments headquarters. 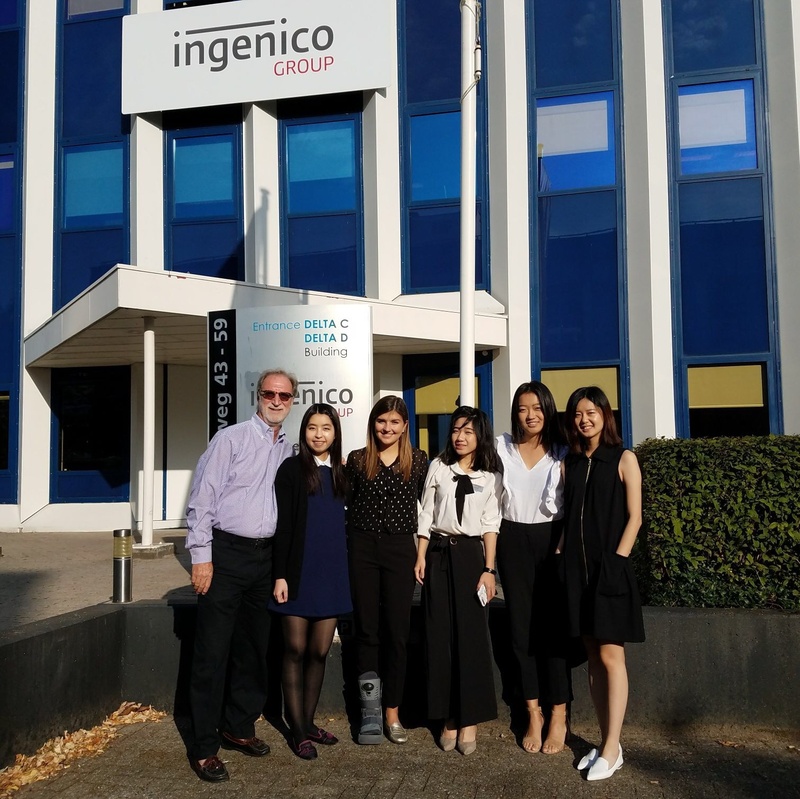 With the Medill IMC students based in Evanston, Illinois and most of their Ingenico ePayments counterparts in Amsterdam, getting an immediate response or feedback was difficult, Aycinena said. Despite the 4,000 mile distance and 7-hour time difference, the team said they felt supported by Ingenico ePayments, especially with Medill IMC alumnus Brandon Manzano at their disposal. “Brandon, as our alumni and point of contact for the company really made the experience much easier and simpler in terms of reaching out for resources (and) information,” Arielle Su said. “Everybody was open to help us if we had any questions, to offer any additional resources that they could offer, despite not being our specific sponsor or the person specifically that was going to be working on this project so it was great to be able to get that kind of support from different areas,” Aycinena added. The immersion quarter provided the Medill IMC students the opportunity to discover strengths within themselves, including patience, confidence and persistence. Shao said it was the team’s persistence and confidence in the face of all of the obstacles they encountered that allowed them to be successful. As a faculty member overseeing the process, Tom Collinger said he sees a key trait develop in the Medill IMC students. The graduate students’ efforts paid off with the culmination of their presentation on Aug. 24 at Ingenico ePayments headquarters in Amsterdam. Initial feedback from Ingenico employees who attended the presentation highlighted the progress the team made in a short amount of time, especially given their lack of background in ePayments. Mat Spencer, Head of Global Marketing Communications, praised the simplicity of the ranking tool the team created. Marisa Rijpkema, Senior Manager of Content and Social Media, commented on the benefits of having the Medill IMC students’ unique perspective on the data. “Having a group of ‘outsiders’ without prior knowledge to the industry or the company was an excellent way to do a sense check on the direction we had taken with this concept and reconfirm that indeed our efforts are valuable. Seeing the ideas developed and elaborated on with fresh eyes gave us a new perspective and inspiration for the PMOT project and its potential,” she said. She added that the PMOT score and index would provide value for both existing and prospective merchants. Daniel Amador Sanchez, Global Head of Consultancy Services echoed these sentiments. “It would be great to have a mobile tool that helps us to grab our prospect’s attention and start the discussion on payment performance,” he said. After all was said and done, Suki Shao and Cecilia Aycinena said they appreciated how Ingenico ePayments made them feel like they were a part of the company. “They (took) the internship project very seriously and they encouraged us a lot,” Shao said. Arielle Su, Suki Shao and Cecilia Aycinena all have plans to graduate from Northwestern University’s Medill IMC in December. Su said she will return to China and use the skills she’s gleaned from the immersion quarter, while Shao said she hopes to find a fin-tech related job in the U.S.
Aycinena is currently working as a graduate research assistant and said she hopes to find a job in a strategy role for a multinational company. The Ingenico ePayments partnership with Northwestern University’s Medill IMC was established in 2015. Since its inception, 15 graduate students have participated in the 11-week immersion quarter and two have been hired.